Your message will be sent to Leticia Hernandez. Leticia Hernandez is a dedicated and hard-working real estate professional with a passion for helping families make their most important financial investment. She brings with her over 12 years of experience in real estate, and 15-plus years in marketing with an array of international companies. After years working as a successful marketing executive in her native Mexico, she made the move to California where she's been residing in her beloved San Diego for over 17 years. 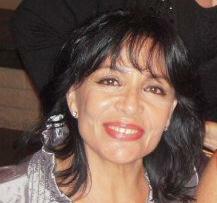 Being committed to the San Diego community is very important to her which is why she excels in the real estate field. Her number one goal is to contribute positively to people's lives. Leticia understands deeply the diverse needs of every client she works with whether it's a first-time home buyer or a seasoned investor. She works-hard to build a relationship with her clients while also focusing on strategy in order to ensure excellent results for each client. Leticia, who likes to try semi-extreme sports, is a marathon runner and also enjoys working out, cycling, and Zumba. In addition to raising her daughter, she is devoted to helping families and children in need. She has been sponsoring a girl from the Dominican Republic since 2000. She also volunteered with the San Diego Red Cross Bloodmobile for more than five years during its summer campaigns.